NEW YORK and TORONTO, Feb. 12, 2019 /PRNewswire/ – iAnthus Capital Holdings, Inc. (“iAnthus” or the “Company”) (CSE: IAN, OTCQX: ITHUF) is pleased to announce that Pat Tiernan has been promoted to Executive Vice President of Operations responsible for the Company’s operations across the United States. Carlos Perea will transition from his current position as Chief Operating Officer to lead the Company’s development of an innovation group focused on the evaluation and implementation of strategic investments in new technologies. Prior to joining iAnthus, Mr. Tiernan served five years as Chief Operating Officer at Stone Brewing Company (“Stone Brewing”). During that time, he grew the company’s revenues from $100 million to $250 million; transformed and modernized all facets of the business; expanded operations and distribution nationally and to 34 countries; drove a 200% increase in cases distributed while expanding Stone Brewing’s geographical footprint and supplier portfolio. 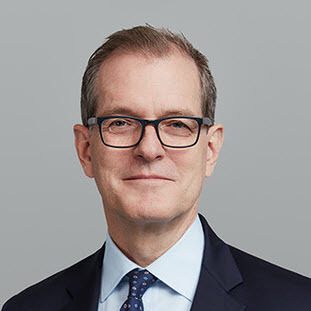 Mr. Tiernan was previously a Senior Advisor with TPG Capital where he focused on driving deep transformational initiatives within and across its companies. Pat is an experienced operations executive with a proven ability to replicate processes to deliver a consistent consumer experience. He has extensive operations, general management and business development experience and we are excited to have him in his new role. With our current footprint of 11 states, Pat’s track-record in driving operational excellence across companies is expected to result in immediate dividends to iAnthus.